EvenPleat Pleated Shades feature a back-ladder support, guaranteed to keep pleats evenly spaced and prevent sagging. For the same great style without the back-ladder design, FashionPleat Pleated Blinds are a more economical option. Both styles are available with 1″ or 2″ pleats, appropriate for windows of distinctly different scales. Visit our Graber promotions for Pleated blind sales. 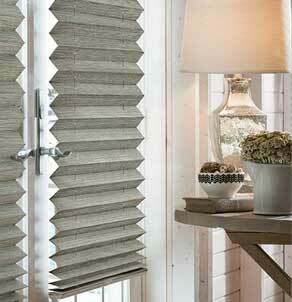 Learn more about Pleated Shades.